Still trying to Decided Whether to Come or Not? Maybe this Will Change Your Mind! At my Open House a week from Sunday you will being making this cute little bag just one of my Make and Takes being offered. What a great way to package up some home made goodies, or add some tissue and you can put a gift inside or even better use it with a tea light that is nonflammable. I found a great deal at Costco, they are less than 50 cents each plus you get extra batteries! The ideas are endless and if you come to my workshop you can make it for FREE! Join me for my "Welcome Me to the Neighbourhood OPEN HOUSE"
plus food and door prizes. 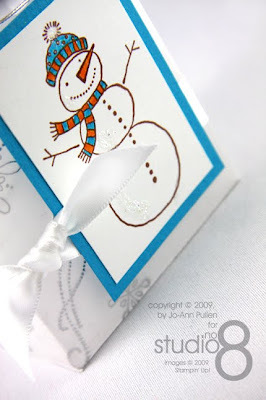 Learn about my up coming Xmas, Wedding, Big Shot and Scrap booking Workshops. 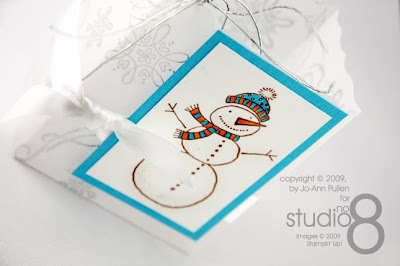 See a demonstration of Stampin’ Up’s NEW “My Digital Studio! Book a Workshop* and WIN. *Book a workshop choose a FREE gift NOTE: prize awarded at booked workshop. ***Supplies are based on number of registered guests, if you don‘t register you or your guest supplies might not be available. So don’t forget to register today! Check out my blog studiono8 for idea’s, workshops and bring out your creative side. Love this idea, Jo-Ann! 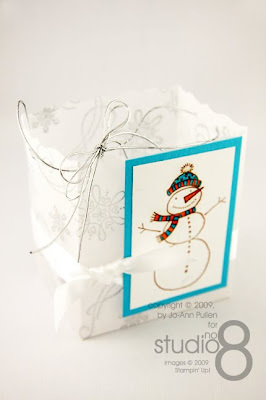 Looks fun to make, give, or receive! On behalf of the design team at Pals Paper Arts, thank you for playing @ PPA! Join us for a special "In the Pink" challenge this Thursday, October 29, 2009.